Six months into President Trump’s administration, Department of Justice attorneys are still battling Christian organizations in court over Obamacare’s contraception mandate. DOJ lawyers have continued to keep alive a slew of cases appealing a 2014 district court ruling that granted an injunction from the mandate to several Catholic organizations. The Supreme Court vacated an appeals court ruling against The Little Sisters of the Poor and similar organizations in 2016, sending the cases back to the lower courts. 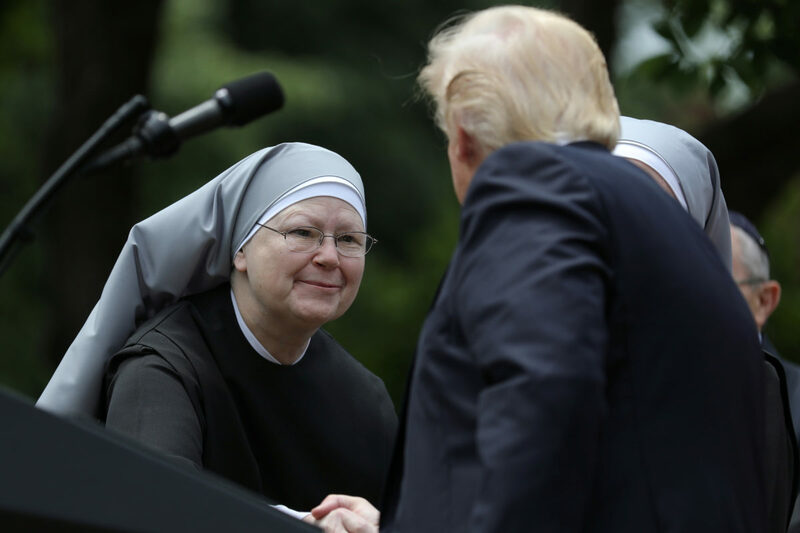 Many religious freedom advocates expected that the Trump administration, which has vowed to protect The Little Sisters and other organizations burdened by the contraceptive mandate, would drop the legal campaign against the religious organizations. But more than six months into the Trump era, the legal fights are still alive.